Canberra’s Questacon museum has extended its Above and Beyond exhibition for a further two months. Presented by Boeing and developed in partnership with NASA and the Smithsonian National Air and Space Museum, Above and Beyond looks at flight and space travel through five key themes – Up, Faster, Higher, Further and Smarter. 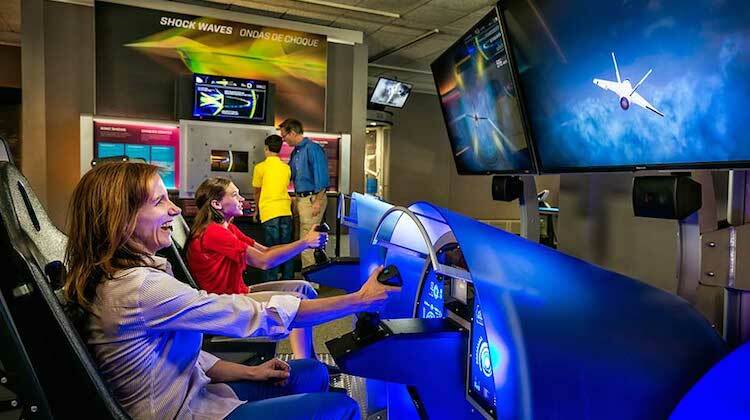 The hands-on exhibits include the opportunity to design a jet aircraft, experience what it is like to fly a drone or hurtle through space and was originally expected to close on July 23. However, the museum has announced the extension of the Above and Beyond until October 8 due to popular demand. “The 2016-17 period has been the most successful ever for Questacon, with more than half a million visitors experiencing the exhibitions at the Centre in Canberra,” Questacon senior manager centre, retail and tourism Tristian Hoffmeister said in a statement. The Above and Beyond exhibition has previously been to Washington DC, Seattle, Chicago, London, Japan and Dubai, where it was seen by about three million people. Questacon is the first time the exhibition has come to Australia. The museum highlighted some of the features of the exhibition on its YouTube channel.